A stunning charm bracelet suitable for children and adults. 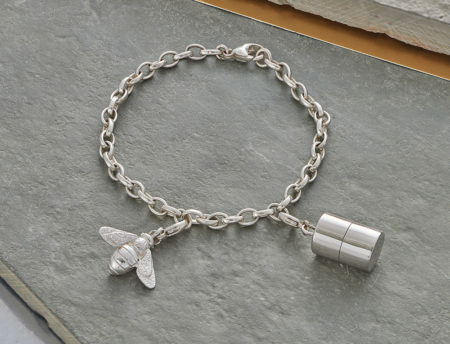 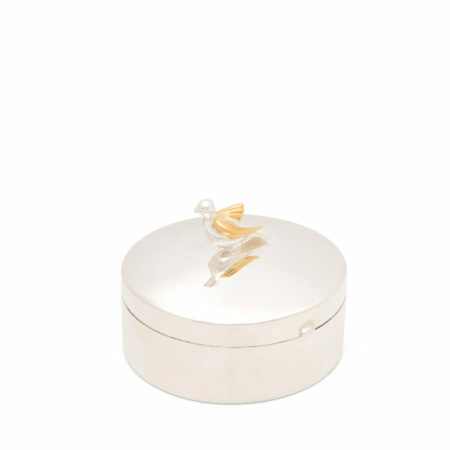 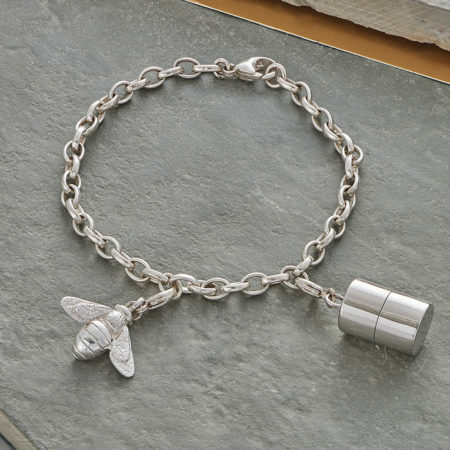 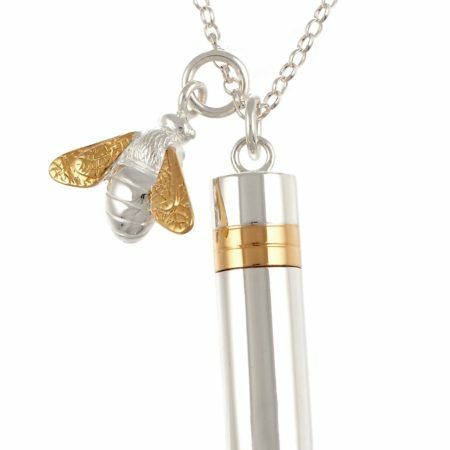 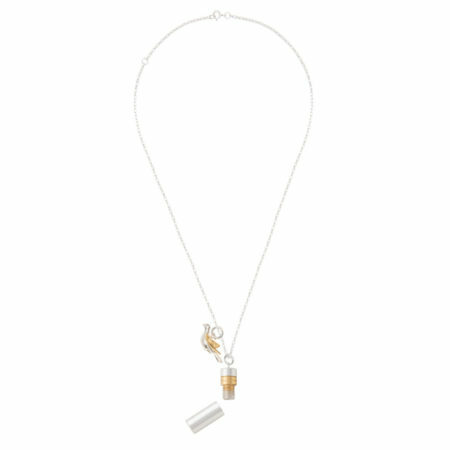 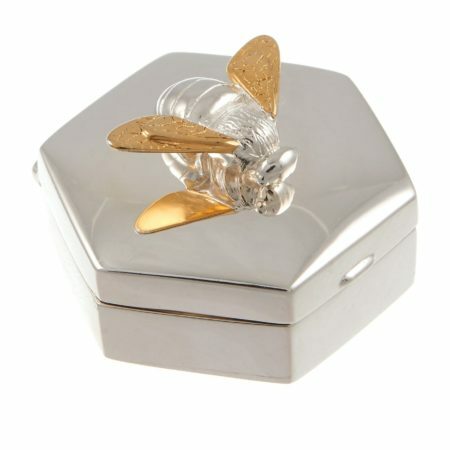 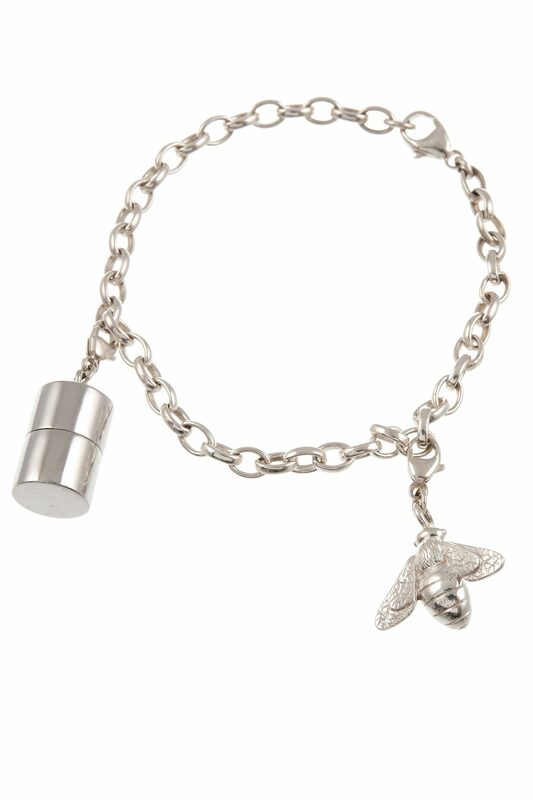 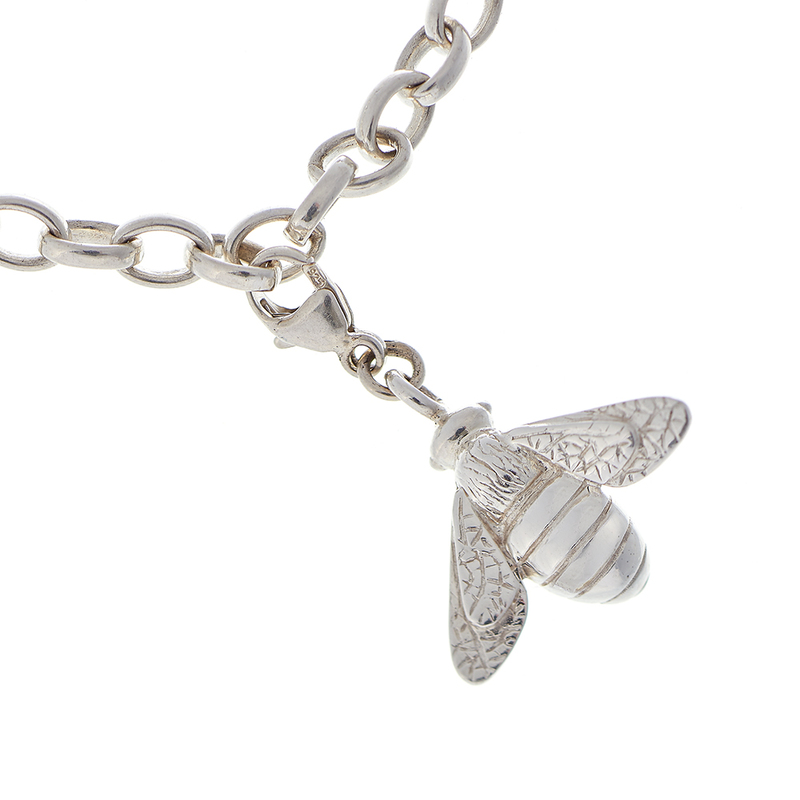 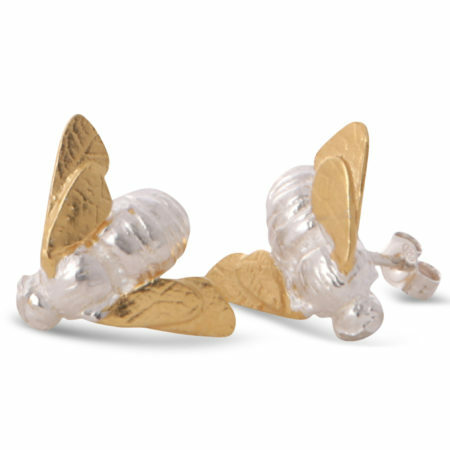 It comes complete with two adjustable charms, a memories capsule and a solid silver bee. 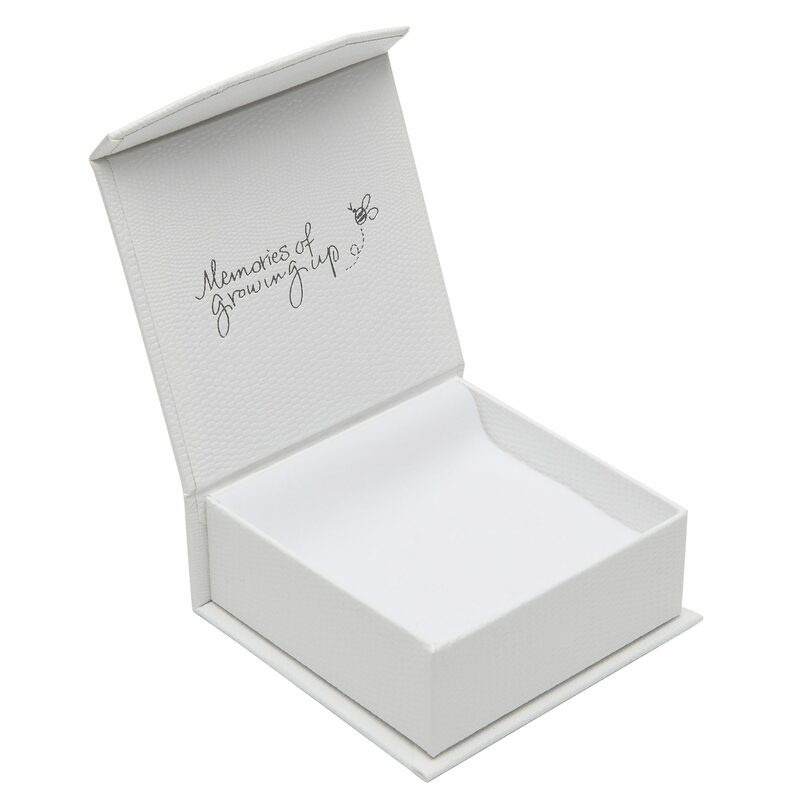 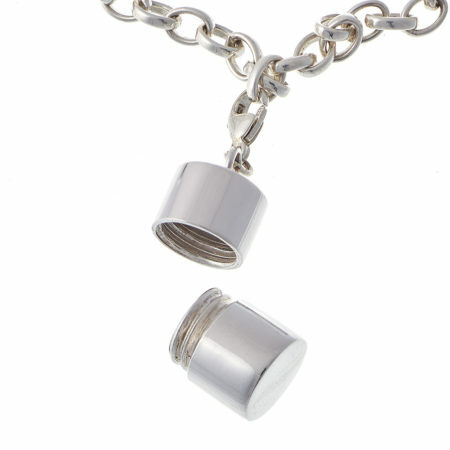 The memory capsule unscrews and can hold a lock of hair, a small tooth or a rolled up message. 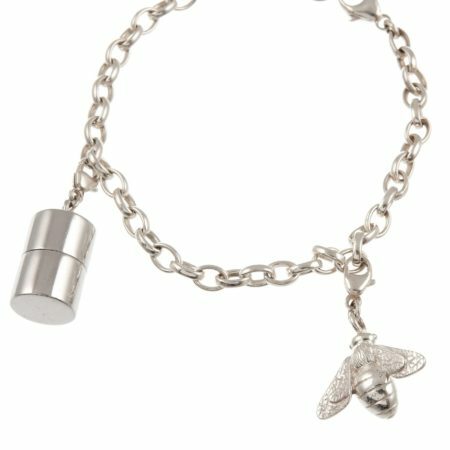 Each charm has it’s own clasp and can be placed to suit. 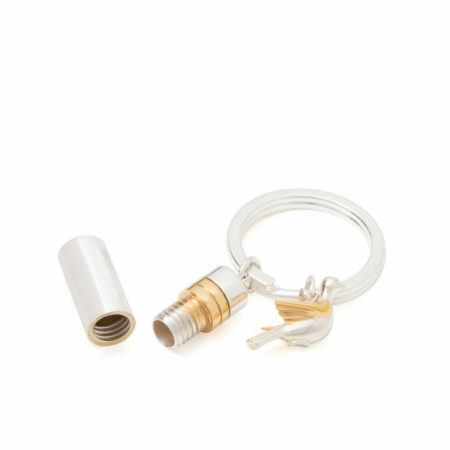 Please note: Not suitable for children under 5 years due to small parts.